With the insertion of a new core (bath, kitchen, and mechanical elements), modern conveniences were delivered to an existing 500 sq. 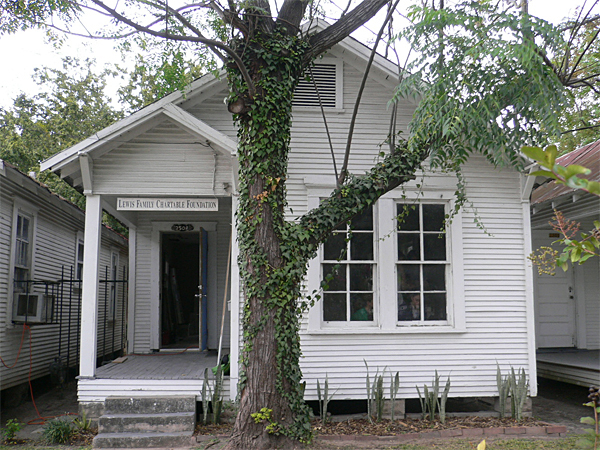 ft. house at Project Row Houses in Houston’s Third Ward. The renovation was seen not only as a single solution for this particular house (to be used by an artist in residence), but also as a prototype -- exploring the newly inserted core as a strategy for updating the many typical shotgun-style houses in the neighborhood.